If the Woyane spin-doctors and their Eritrean agents were to have the last word, this is how they would’ve written the history of the 1998 Ethio-Eritrean war (of course I’m paraphrasing). The days prior to 12 May 1998 were all happy cheerful and sunny days. But after seven delightful and tranquil years, Isaias, erratic that he is he woke-up one morning and unexpectedly ignited the Badme border war. Not for any apparent rational reason, but just because he felt like it. And ever since that tragic day, things have never been the same again. And that’s why we all are finding ourselves in this terrible predicament today. But is that so? Were the days prior to 12 May 1998 all that sunny? Did the Badme border-war really start because of the personal whim of a one mad man (Isaias)? 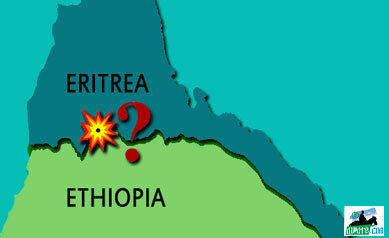 Was Isaias/Eritrea the aggressor? Was it even border dispute the cause of the 1998 Ethio-Eritrean conflict? Of course not! Any idiot knows these are all bogus claims and boldfaced lies. Let’s be real: prior to May 1998, EPLF leaders wanted to be so close to Ethiopia they were saying publicly – borders are irrelevant; free movement of people goods services and capital is the way to move forward; dual citizenship for those who wanted it (Eritreans and Ethiopians) is what brings the two people closer; single currency single monetary policy single foreign and diplomatic policy is what serves the two people best; having synchronized defense and security policy under unified central command is what makes the two people safe and secure; moving towards integrated economy under some kind of regional confederation is what brings stability and economic prosperity to the people of this region…… and many more were EPLF leaders public positions. 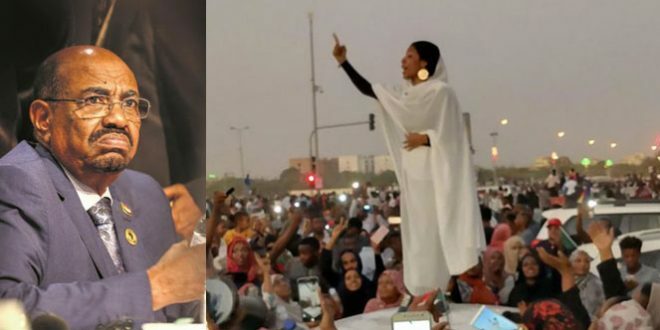 Again, EPLF leaders were so close to Woyane’s Ethiopia, and wanted to remain even closer that the current opposition leaders were outraged by their cozy relation with Ethiopia – accusing them of “abandoning our traditional Arab Allies”. EPLF leaders were so close to Ethiopia, the Arab Region was infuriated by their constant Arab bashing and their close relation with Ethiopia Israel and the West. Western powers were so elated about the Ethio-Eritrean close relation they were calling the leaders of both nations “close allies”, “visionaries”, “the new breed of African leaders”….. And the hope of Ethio-Eritrean close relation wasn’t just an empty-wish of EPLF leaders based on, unbalanced unfair and unattainable dream driven by insatiable Eritrean greed as some allege, but a seemingly achievable hope anchored on concrete agreement reached by both countries through the 1993 Agreement of Friendship and cooperation commission headed by the then two vice presidents – Tamrat Layne and Mahmoud Sherifo. The point: in the greater scheme of things, at best, the Badme border issue was a hiccup; if that. But, even though the 1993 Ethio-Eritrean agreement was the best good news the two people ever heard in more than a century (of course it could be tweaked), to the disappointment of many Ethio-Eritrean relation failed miserably. And there is a lesson to be learned here: Ethio-Eritrean relation failed because it was a relationship destined to fail. Not because of the content of the agreement and its intended security economic and social objectives, not because the agreement was a lopsided agreement that favored Eritreans at the expense of Ethiopians, but because of the identity and the perceived shadowy political motive of its architects and its framers. Simply put: it failed because Ethio-Eritrean relation is more than a close relation of the two Tigreans. And that was where the Ethio-Eritrean close relation was anchored; and that was the precise reason why the Ethio-Eritrean relation ended-up being polarizing and toxic relation that lacked the confidence of most Eritreans and Ethiopians (of course I’m not minimizing the “we’ve to restore Ethiopian pride by punishing Eritrea” and the “Eritrea should not be rewarded for having-it her own way” type ultranationalist factors in the overall political equation). And the minute the rubber hit the road, as expected, the weakest link (Woyane) gave way due to its internal pressure. Then and only then it dawned on all that the 6% Tigreans were, are, and will always be incapable of negotiating and delivering close Ethio-Eritrean relation while at the helm. And when the Woyanes reversed all their long held positions a complete 180° in the blink of an eye for political expediency (aligned themselves with gun-toting ultranationalists ነፍጠኛታትን ትምክሕተኛታትን in order to govern) to those who were hoping and wishing to see a lasting Ethio-Eritrean close relation, the writing was on the wall. Therefore, trying to describe the 1998 Ethio-Eritrean war, as a war that was fought solely over small patches of barren arid lands or as a war that was fought just because of a sudden impulse of a one “madman” is either mischaracterization of the facts, naïve and simplistic explanation of the facts or is being deliberately disingenuous about the real facts of the Ethio-Eritrean conflict. But again, if, “Eritrea/Isaias was the aggressor” is what you believed all along, and if you’re not still persuaded by the reasoning of my argument, please read the comment below and pay attention to every little detail of – all the unverifiable claims and accusations, all the myth, all the half-truth, and all The Kidney Heist type Urban Legends that were being disseminated by the Addis political machine to vilify Eritrea and Eritreans prior to 06 May 1998. I completely understand – since the Awate commenter was making a blanket statement (all X are Y and all W felt Z type assertions) his comment can’t be portrayed as an accurate descriptive account of the whole attitude of all Eritreans and Ethiopians. But it sure does explain the relentless political campaign that was waged to shape Ethiopian public opinion (vis-à-vis Eritrea and Eritreans) prior to 12 May1998. And guess what! Once a gun-toting regime successfully shapes public opinion to its liking, what follows is a no brainer: a policy that fits “public opinion”. And that was exactly the whole objective of the hollow propaganda of the Addis political machine: to mold Ethiopian public opinion. Again, to piece together the events that lead to the 1998 senseless war, please read and pay attention to every little detail of the comment below; because the comment is a perfect prototype of the daily political propaganda that was waged to vilify and demonize Eritrea and Eritreans prior to 06 May 1998. And as a case in point, this comment is selected by this author to serve as an appetizer for the whole argument of this article. Good read. “Ethiopians belief that Eritreans contempt to Ethiopia and Ethiopians is deep rooted and beyond the manplation of their leaders. 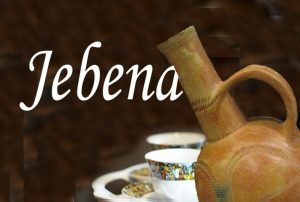 During the first seven years of Eritrean independence, the behavior of many Eritreans (particularly Kebesa Eritreans, who were in Ethiopia) was simply unbearable. Especially, their favorate targets were those Ethiopians, who were very emotional about Ethiopia losing a sea port and feared Eritreans independence would lead to disintegration of the rest of the country. They were targets of a relentless mockery, insults with lots of humiliating verbal and psychological abuses. 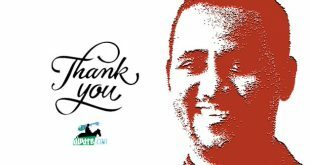 Furthermore, EPLF gave an impression to the rest of Ethiopians and especially to its Eritrean supporters that it has an upper hand on TPLF/EPRDF, and even a kind of impression that they control EPRDF and through it Ethiopia. Hence, Eritreans, especially, the elites and those who lived in Ethiopia felt that they had a free reign over everything and anything in Ethiopia. Many couldn’t control themselves and openly started belittling Ethiopians, as just tools to be used by Eritreans. Eritrea was packaging Ethiopian coffee and market it in the world, as ‘Eritrean’. Large businesses, factories and financial institutions were getting bough and obtained by those, who pledged aligence to Eritrea, leaving the owners of the country Ethiopians somewhat pushed aside. When Isayas invaded Ethiopia, they had the audacity to openly fund raise in Addis and regional towns for his war effort. I don’t think you can under estimate a kind of resentment that could create among Ethiopians. 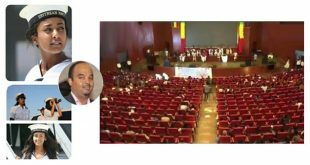 That is why, during Bademe war, when EPRDF declared it’s divorce from EPLF and Eritrea and called young people to enlist to go to war, it’s call was recieved enthusiastically and eventually, Ethiopia managed to win the war. It is a human nature to seek a revenge against those, who you feel deeply hurt you, and Ethiopians can not be different. There are good number of Ethiopians, who would want those, who humiliated them to be humiliated. 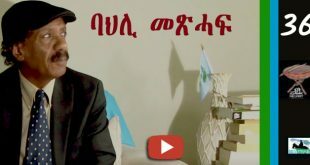 Those, who dehumanized them to see what it looks like to be insulted and belittled.” Eyob Medhane – a diehard Woyane/EPRDF supporter in his own words explaining the “feeling of Ethiopians” toward Eritreans pre-May 12, 1998 – Awate.com, September 22, 2013 at 2:42 pm – Chronology of Eritrea’s Reform Movement @ the comment section. So, what do you think? Does the above comment reflect the Ethiopian political reality that existed prior to May 1998? Do you think the comment is still defensible? Why or why not? Anyway, regardless of one’s position to the above comment, the glaring fact is – that was exactly the insidious false propaganda the Ethiopian political machine was feeding its public prior to 12 May 1998. The reason: to go to war you have to prepare your country for war. And as a vital component of your war preparation, vilifying and demonizing your enemy to a point where there is no sympathy left for him, is job one. And that was exactly what the Addis political machine was doing prior to 06 May 1998. 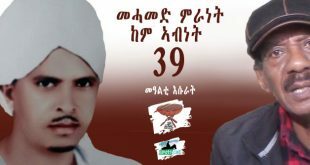 And the question that comes to mind is: was there similar propaganda campaign on the Eritrean side prior to 12 May 1998? And the answer is – absolutely not. And that in itself tells a story. Because it defies the logic of war (if one wants to claim that the 1998 Ethio-Eritrean war was started by Eritrea). 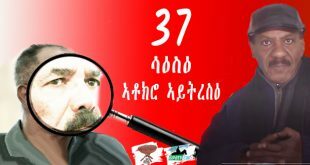 And to this day, even though there is no any Ethiopian who could back-up the accusation (claim) that was/is leveled against Eritrea and Eritreans with a verifiable data and documentation, regrettably, the effect of that insidious propaganda → the false accusation, the hate, the anger, the resentment, the vindictive attitude……toward Eritrea and Eritreans is still alive and well. But to anyone who could put two and two together, it was abundantly clear that the bloody 1998 Ethio-Eritrean war was never about land dispute. Badme, the “disputed” border region, didn’t have much to do with the bloody “border war” then, and it has nothing to do with the current ‘no-war-no-peace’ Addis policy. Badme was a casus belli for a premeditated aggression then, and it is land held hostage at a gunpoint as a bargaining-chip to achieve a favorable concession from Eritrea, now – a concession that was impossible to achieve in 1991 to be exact. And for that reason and that reason alone, it shouldn’t be a surprise to anyone if Badme remains a hostage for many, many years to come. But many people are calling the 1998 Ethio-Eritrean war ‘the Badme border war’ simply because the war was started at Badme and it was fought under the pretext of Badme border dispute. But in reality, the war was planned, instigated, provoked and declared by the Tigrean hardliners. The reason: grudge, territorial expansion, to heal and restore the pride of a wounded divided defeated Nation, to liberate themselves from the general public-perception (pawn of ShaEbia), to earn legitimacy to govern Ethiopia, and most of all to turn the clock back to 1991 in order to “negotiate” future Ethio-Eritrean relation, with a divided defeated humiliated Eritrea, led by a worthless Woyane installed puppet government. And the plan worked – well, almost. Yes, the Woyanes failed to topple the Eritrean government. Yes, the Woyanes failed to occupy Eritrea. Yes, the Woyanes dream to assume supreme authority over Eritrea’s government and its sovereign territories until Eritrea signs a declaration of defeat that would meet all Ethiopian demands (including but not limited to, unfettered access to the Red Sea) failed miserably. Yes, the Woyanes didn’t add much of an Eritrean land to their beloved Greater Tigray. But they sure did get something else. As a direct result of their naked aggression, Ethiopian unity and stability was solidified. As a direct result of their naked aggression, their popularity soared sky-high and continued to soar even higher every time they bled, humiliated, raised their threat level.…. towards Eritrea and Eritreans. As a direct result of their naked aggression their popularity was night and day the day before and the day after 13 May 1998. And most of all, as a direct result of their naked aggression, their image was improved in the eyes of many Ethiopians, making life easier for them to govern. Simply put: the Woyanes immensely benefited from their aggression and that was the exact motive behind their decision to back-stub and bleed their former ally. And that’s why their former allies are calling them ጠላማት. But it all failed. 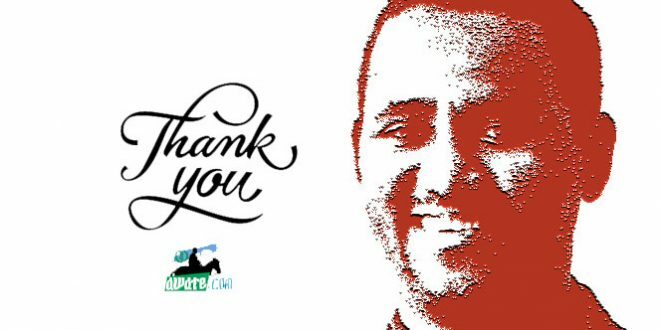 Thanks to the bravery of the Eritrean people and their gallant Warsai-YkeAlo forces, all their crafty deceit, all their engineered blueprint, all their radiant-thinking and mind-mapping ended-up being just a pipe-dream. Yes! After all the – Zeraf, Geday, Zwesede Gzie Ywsed, Hibri Aynkhum Des Entezey Eluna….brouhaha, the Tigrean hardliners were forced to settle for a whole lot less: no-war-no-peace policy. Yep! Hoping against hope, one day their well-crafted no-war-no-peace policy to bankrupt and bring Eritrea to its knees. Yes, the Eritrea they always believed – was “economically unviable state” without the goodwill of Addis regimes (without access to Ethiopian resources). And as they say, the rest is history. Mind you: I don’t have any illusion about the size, magnitude, and intellect of those who swear, the 1998 Ethio-Eritrean war was caused and triggered by the Eritrean regime. I hear them every single day. Yes, those from the South of the Mereb River and their Eritrean agents who swear “Eritrea was the aggressor” (of course for obvious reasons) and those from the Eritrean opposition who cut off their nose to spite their face – just to do harm to the PFDJ regime. But both sides don’t have a winning argument. Their “facts” are so wrong and their arguments are so weak and riddled with inconsistencies, it won’t even withstand a minor scrutiny. To make a compelling case for this argument, let’s start with the following critical questions and logical statements. Question And Logical Statement #1. Were the Woyanes in and around Badme, harassing intimidating arresting evicting and killing Eritrean citizens, and confiscating properties of Eritrean citizens consistently prior to 06 May 1998? And the answer is emphatic YES. Did the Woyanes completely alter the social-demography of the whole Badme region (on both sides of the border divide) by evicting tens of thousands 3-4 generation Eritreans, and by settling Tigreans in their place? And the answer is emphatic YES. Was their action, a provocative action tantamount to declaring war on Eritrea and Eritreans? Yes it was. Then, assuming the duty of any given government is to protect its citizens, the EPLF government was within its rights to stand-up to the aggression of the Woyanes to defend its citizens. Question And Logical Statement #2. Did the Woyanes try to alter the century old (1900–1991) Ethio-Eritrean border with the intent to incorporate large swaths of Eritrean territories into Tigray (Badme region being one of them)? Again the answer is emphatic YES. Did they try to create facts on the ground using force (to reflect their newly created map)? YES they did. Was their action a provocative action tantamount to declaring war on Eritrea and Eritreans? Yes it was. Then, assuming the duty of any given government is to protect the territorial integrity and sovereignty of the nation it is governing, the EPLF government was within its rights to stand-up to the aggression of the Woyanes to defend the territorial integrity of Eritrea. Question And Logical Statement #3. Did the Woyanes try to dismantle Eritrean local administrations by force in the “disputed” border areas to reflect their newly created map? Yes they did. Was their action a provocative action tantamount to declaring war on Eritrea and Eritreans? Yes it was. Then, assuming the duty of any given government is to protect its branch governments and its public servants, the EPLF government was within its rights to stand-up to the aggression of the Woyanes, to defend its local governments and its public employees. Question And Logical Statement #4. Now, let’s be fair to the Woyanes. Even when the EPLF government believed Badme to be sovereign Eritrean territory, did the EPLF government dismantled any Ethiopian local government, at any of the “disputed” border areas including the Badme local administration (which was administered by Tigray Killil) prior to may 6 May 1998? And the answer is a resounding NO. Did the EPLF government altered the century old (1900–1991) Ethio-Eritrean border with the intent to incorporate some swaths of sovereign Ethiopian territories into Eritrea? Again, no it did not. Did the EPLF government harassed, evicted, killed or confiscated properties of Ethiopian citizens at the “disputed” border areas? No it didn’t. Ok, the Woyanes were constantly provoking Eritrea/the EPLF government for war. We got that. But that doesn’t prove the Woyanes started the 1998 war. How could you prove beyond reasonable doubt that the 1998 Ethio-Eritrean war was ignited by the Woyanes? Well, that and more would come in part II of this article in about two weeks. Your claims are absurd and are not substantiated by what actually happened. It is an ingenious story. However the problem is that you have started from the present and gone back to the past to reconstruct the events that took place. I more or less agree with what you have written about the present situations in Ethiopia and Eritrea. The problem is Eritrea had its priorities wrong. Instead of trying to improve the lives of the people of Eritreans, it chose to intimidate and terrorise its neighbours. Who was at fault when Eritrea attacked Djibouti, Yemen, etc? Agin the other countries, according to you. 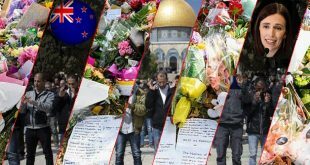 Who showed so much bellicosity, belligerence and intransigence towards its neighbours? Was it Ethiopia? Eritreans were gripped by jingoism and were trying to portray to the outside world that Eritrea had an invincible and formidable army. One way of proving that was to invade their unsuspecting negibours. You are unable to deny (as it was too obvious) that Eritrea invaded Badme so you fabricate stories to justify the invasion. I don’t think anybody in their right mind will buy your story. In fact I don’t think you do yourself, to be honest. Go tell to the last reminant of dergi and also your aglai, what we have now is our problem but what happen the last time is gone to history .Define it by yourself and we do ours. So no hard feeling to go back and try score zero. Your people has died and ours also, but we have won the whole campaign of the war infront of the international court . Well i forget Meles has died due to heart attack that he never was able to sail to north so he was forced to pay 2 billion dollar each year . Waww i forget , get your election straight , we will deal our problem . See you after IA. Mengistu,his Military and his regime/government. himself. Is there anything more embarassing and shamefull than that ? embarrasement on behalf of the surrendered army and their situations. ordinary man lest head of state. being thrown into the dust bin by eprdf eversince 1991). I am here again to add some points as a good student. In first place I think it is proper to call both personalities in their appropriate titles.As far as I know Lt.Col was last rank title of Mengistu and Genera was not Aman Andom’s.I will mention them only by their names until we agree on their titles. 1)You are right Mengistu came from the army unit which Aman was commanding.But,Aman was detached from the army for long time already.He was put in the MWESEGNA MIKRBET and has also served in the Ethiopian Embassy in USA after his military career.The typical system to put people aside when they are no more important and yet reward for what they did in the past. As we know DERGUE was a group from the medium and lower rank hierarchy( Shalequa and below).Aman was outsider to the group and he was just invited. The DERGUE team which was of course under significant influence of Mengistu proposed to bring Aman choosing him from others in the list as they thought he will help to solve the Eritrean problem issue considering his Eritrean background.They have also tried him but didn’t serve the purpose he was called to. 2)We all know Aman was not in the group to give that historic speech in front of his majesty and Shaleqa Debela Dinsa made the speech.We know Aman was very loyal to the king until he was brought to chair Dergue.Actually the king asked for Aman to come and speak to him after they took him out of the palace to get explanation form him as he is very loyal to him. 3)We all know demotion is a prize for someone who is serving below expected.expected.We all know if someone is a real threat where he will end. In fact Aman was not a kind of person to be a threat for the king.Actually some of his correspondences even after he was demoted show he was very humble and loyal to the king at times he begs him for extra money to support his living. You are trying to create exaggerated personality of Aman may be because of your narrow level of thinking.We are proud of Aman for what he did to his country but we have a lot of them at his level. 4)This and more is what I learned from Ethiopian historians and writers. I don’t think revolution is needed for someone to read and write.Don’t you know the players of the revolution learned to read and write in order to kick the revolution. Get out of narrow thinking! 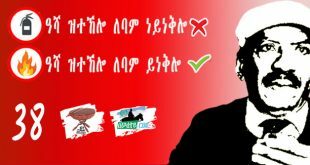 @ tesema / or Tesema? and other times you accuse me of Narrow thinking ! Are you confused ? mixed up? or what ? 2. What you said you have learned from Ethiopian historians and writers ! by Mengistu’s policy of Ethiopian Socialism education. knowledge or wisdom or love their people and country than kings and dictators. wasting 17 + 15 + 10 = 40+ years………..to have it again one more time ? Ethiopia wouldn’t have been suffered by eprp/eplf/tplf/edu and all these groups. been given the chance. ( that is my opinion). revolution was Ethiopia Tiqdem ! Yale Minim Dem ! And he fitted well to it and lead. And I am proud of him and his leadership and committment to human value & dignity. not ready for it and its leaders were alien to these ideals and concepts of administration?!? and do not like to say…>> ” YOU DESERVE IT!! “. as I am not that type of person. 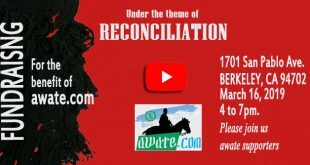 we are done with you too; but there is a problem, the Amara and Oromo are not done with you. they are coming for take your head off and to rip your hear from its cage. why do you think every Tigryan built homes in its respective village in Tigray? tell me if i am not telling the truth? the reason is they know it is coming; you will be paid what you have generously dished it out. you can fool to those who wanted to be fooled; like the Eshi-Goyaty crowed but no us. but if you were honest person you will know the very reason of the war is your new map of Tigray. who published the map? yah, go figure. I don’t think the cause of Ethio-Eritrean conflict is not as such mysterious to seek such deep analysis and after almost 20 years.What we know is the then EPLF is different to the existing one.The then”victorious” EPLF was full of empty pride to feel as a super power in the region.They thought military power will bring all what they want and they waged a conflict not only with Ethiopia but also with other neighbors.I believe the cause of the Ethio- Eritrean war is not Badme but the gap between the attitude of EPLF undermining Ethiopia,thinking they will govern it under wings of TPLF and the fact TPLF started to understand a sovereign country’s politics.Actually the main reason for the conflict is the problem in the separation process of the countries.It was not properly handled and TPLF was there only to serve EPLF interest. Now after 20 years we have seen Eritrea is just locked with in itself.Port of Massawa and Assab sitting idle.On the other hand the volume of activities in Ethiopia has increased significantly which the Eritrean ports can not handle if the situation was to allow even.Ethiopia has invested a lot on infrastructure to develop its corridor through Djibouti. Now after 20 years the mighty EPLF is so weak that even it can’t take the territories(including Badme) that were supposed to be awarded to Etitrea are still in hands of Ethiopia. Now after 20 years Isayas is reconsidering his HABESHA blood. Now after 20 years we hear Eritreans advocating about collaboration and cooperation with Ethiopia while the motto and motivation of all that 30 years bloody struggle was to get rid of the colonial Ethiopia. Now after 20 years we see where we stand and if an idea of unification is to be considered between the two countries as can be observed from opinions of many Eritreans,i think the referendum will be on the other side that Ethiopians should agree to get back Eritrea.Now we are in another page of History. It took you twenty years to come with this analysis which I think every Ethiopian and Eritrean of that time knows very well. my dear Aman.You should read history on how major general Aman Andom’s fate was concluded.After all it was Lt.Col.Mengistu H.Mariam who brought him to power from where he was demoted somewhere. Wake up man! What you are writing about. It is already done and dusted? Eritrea already accepted the decision that it did start the war in 1998 and thus it is going to pay $3 million! Minew erswo qeld ayawqum ende ? I was just joking. Sorry you missed my lousy joke . I’ll try to do better. Actually, I was critical of Meles / tplf/ eprdf in those days except the flag . I was also happy when Angafaw Paulos Gnogno came to his defense. Although I have the highest respect for the flag , in those days that was not a burning issue. I totally understood what Meles was talking about . The flag is still ” cherq .” What matters is what is behind it What does it represent? T.K, in those days as you remember, almost everything had several meanings. I’m glad it is behind us . I’m also glad Mele proved beyond any doubt that he meant business. Besides, my joke as lousy as it may be , shows how far we have come in tolerating each other . Please try to see it that way. Wa bebandiraye/ bagere kemeTu ene gar qeld yelem. My dear, I actually got the Merkato joke. I was trying to address the “egna keCherqu Teb yelenim. Yefelege angbo mezor yichilal.” line. “yefelege angibot mezor yichalal” seems to imply as if Meles “angibot endemayzor neger” and that was my reply meant to address. I understand your take any way from the interactions you have been making over the years on this website. But please understand that there are people who think they hold the moral high ground and try to put words through mouth just for the heck of it. In any case, I can tell you that I am very much closer to die for the salient attributes the flag represents than you might think but no doubt in my mind Mele’s expression was correct. My heart aches whenever I read such unfair accusations. There are many issues Meles could be criticized for but when we mix things, the truth will be lost in the jungle of opinions. It’s all good. We have a bigger fish to fry than worry about what the all time genius said. He did the deed. Nothing should distract us from the momentum he started. Now tell me about the next big project. That is what I like to here day and night. I believe that the saying “we need the land and not the people” is one of the big lies of shabia, as “Ethiopian colonialism” was. These are contradictions purposely created to mobilize the Eritrean people. I find it difficult to believe that HS could keep Eritreans in high governmental positions as ministers, and as generals in the Ethiopian armed forces, pilots in the EAL and EAF, university professors at AAU, doctors and successful businessmen, and say at the same time in their face that he wanted the land of Eritrea and not its people. I wish there is somebody who could give us a link or some sort of uncontested proof that HS really said so. I am among those who would like to see that this point is put to rest once forever, than hanging in the air unproved. Why do you need to prove through a single phrase while the actions were consistent with the thought of the king and Degue? How about the Dergue’s punch line of “Asan lematfat Bahrun Madreq”? what meaning do you extract from this “:Bahir Madreq”? Degue in fact implemented the project through forceful villagization programs in the pretext of all sorts. They have proved it through despicable air raids that saw thousands of lives gone in a single operation and almost every where, Hauzen, Endaselase, Masawa, Belesa, abi Adi, Mersa, Mekele, Adigrat, Adi Da’ero, Shi’ib, and so on and through ground forces equipped with special skill to kill using ropes since the human lives were cheaper not worthy of expendable bullets. My friend, it’s better to leave the issue for historians and share the plight of the people who have come through that horrible experience. Dear Ethiopian friends, this debate will not help much to us now. read this very interesting article of SGL. This saying is not from shaebia , it is way way before even they born. It is the old people saying not the young 1965th , i do not believe the man can say that either he is way smart than that. You know how he imagined , mussolini , to the league . He can not say that but this only my understanding . But he stay to be the enemy of the eritrean people. but it is old saying in eritrea. Hailessilsie was far smart than the two , but of course he was in love with the hamassien people , now i am in problem , hulla. Take out the hammasien word , but you can see all the christian where educated in addis abeba university . You know the old man love education than his throne , i always admire his logic even though it is very hard to like your enemy , but he was far better. Dear Gonbel, if someone loves peace, does that mean he should not say the truth. Again Eritrea can be represented by it’s blue flag as back ground with different symbols on it. but not by one party flag. this is my stand love it or not. as you said I am free to love any flag I want but I can’t force people as you and your boss are doing. Let the people chose what they want. for the love I have in Ethiopian people, no one can change it, no circumstance including the 1998 war can change it. You want to tell us about italy or Eritrea , i do not understand how twisted some peoples’ mind are.If you have any clue most african countries have borders that are just the borders from colonizer , if you want to argue about only eritrea in connection to italy , you have to put in context that the international community do recognize eritrea and ethiopia not as kunamas, sahos and the same can be said about ethiopia but to frame your argument from 1890 is not a good starting point. 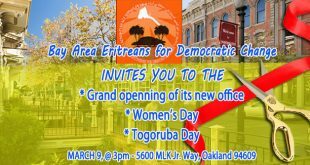 How many Ethiopians especially the dergi remnant and weyenti are there in this article commenting ? why are the Ethiopians denying the crime that committed by their leaders , if you people dismiss the evil job of your leader how do you want us Eritreans move for ward ? first admit you have done evil things to the Eritrean people then we can have healthy conversation. Is there anybody who can think of their country’s fate beyond politics? Is there anyone who is not victim of brainwash? Is there anyone who aims their country’s long term benefit? How many of us are we talking our mind or how many us read history and learn from it? Gebre Tsadik covering up with A MUSLIM name Abdelaziz. here is what he has to say to Tes. what i don’t get is why do they keep picking up Muslim names. this toothless Kokob Weyane is supposed to be Muslim under the cover of Kokob selam. we have endured enough deception under the name of Muslim Eritrean woman; lol Hayat. now here is anther wanna be Muslim Eritrean coming clean. people for give PIA he knows what we don’t. once this individual tools us how he fought for Eritrea and now is telling us he loves Ethiopia note than Eritrea. are yu confused? you should be. kokobe-fake; you are disgraced. I think you forgot that this piece is part of their holly doctrine. He need to read and recite it carefully then only he can be fully equiped to defend for nothing. Therefore, it is a sacred piece for him and he must get enough time to read, re-read and remember everything said. This is what a artificial and unconcious individuals do. And you will see the same hiccup from selam too.